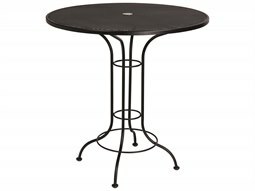 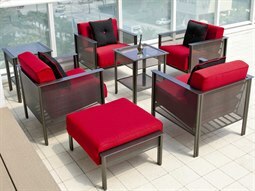 Outdoor patio lounge sets offer a variety of seating options for commercial settings such as restaurant and hospitality spaces. 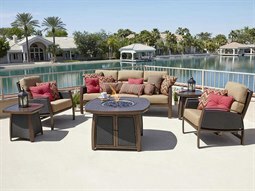 When selecting commercial outdoor patio furniture for a business, .comfortable seating is crucial in providing a place that guests will enjoy. 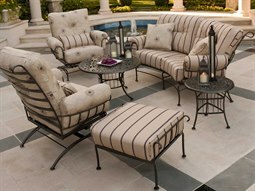 A lounge set makes for a well-designed outdoor lounge space that adds functional and aesthetic value to an outdoor setting. 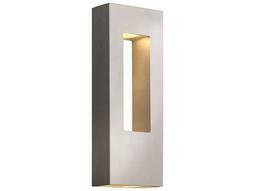 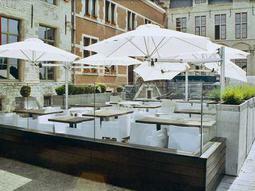 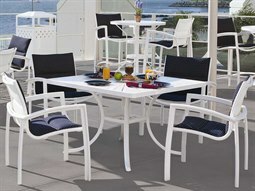 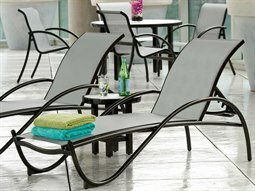 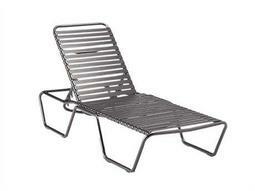 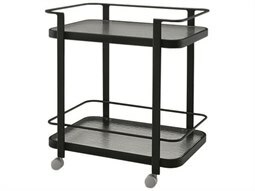 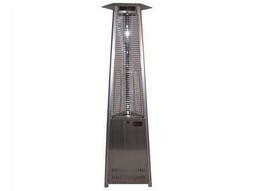 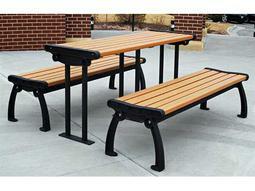 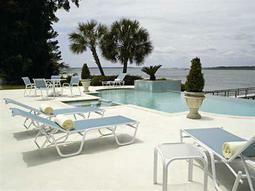 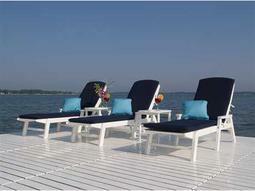 There are many configurations available at Commercial Outdoor. 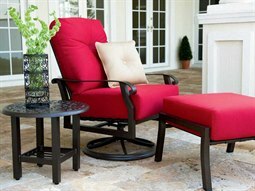 Available lounge sets include personal seating options such as a lounge chair matched with a coordinating end table, to large living sets that can easily accommodate a large gathering of people. 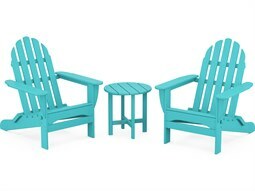 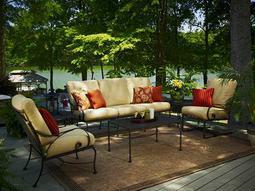 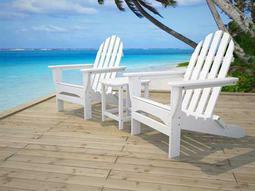 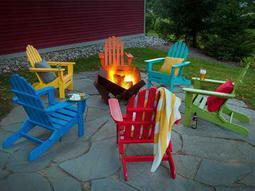 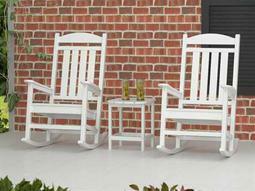 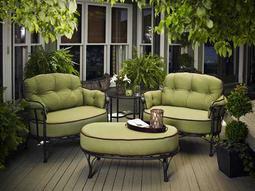 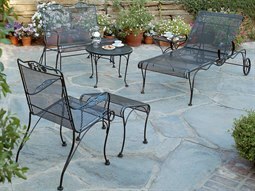 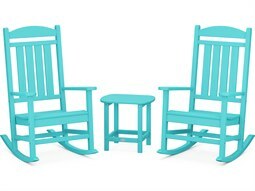 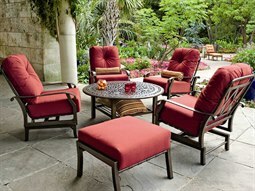 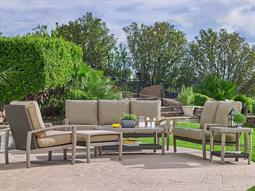 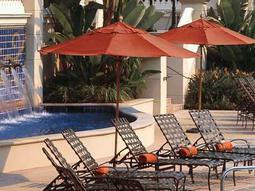 These sets can include an outdoor sofa, lounge chair, and end tables. 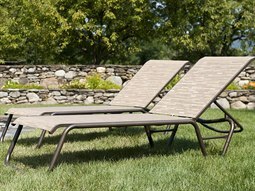 Commercial Outdoor offers sets constructed in a variety of different weather-resistant materials from aluminum, steel, teak, and wicker to bring style that complements any business aesthetic. 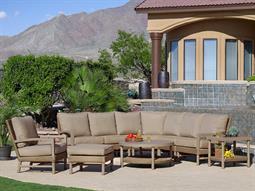 From traditional to modern, and in configurations to suit any size commercial space, find the highest-quality lounge sets for outdoor use that will last season after season at Commercial Outdoor.